It's somewhat ironic that a player who has made life miserable for his contemporaries will likely garner a fair share of their support when it comes to hockey's most cherished individual award. The announcement of the finalists for the NHLPA's Lester B. Pearson Award is still a few weeks away, but there's every reason to believe that Henrik Sedin could find his name on the short list for the trophy that honours the ‘Most Outstanding Player' as voted by the players themselves. Sedin has just been that good this season. Currently leading the league in scoring, the Vancouver forward has set a slew of personal-best marks in 2009-10, helping the Canucks win the Northwest Division while solidifying themselves as legitimate contenders for the Stanley Cup. Sedin, who wears the same uniform as his twin brother Daniel, is somewhat at a loss to explain his sensational year. “I can't really put a finger on it,” said Sedin, who began his career in the Swedish Elitserien with Modo Hockey, winning the Golden Puck as Swedish player of the year in 1999 as a co-recipient with Daniel. “It's one of those things where there are a lot of different things that come together. (Alex) Burrows is having a career year. Daniel's playing better than ever, too. Selected third overall by the Canucks in 1999, Sedin has steadily improved his game over time, a player who has earned a label as one of hockey's best passers. But for all of the fanfare his tape-to-tape passing receives, the 29-year-old is certainly no slouch when it comes to lighting the lamp. This year, he finds himself a goal away from hitting the 30-goal plateau. 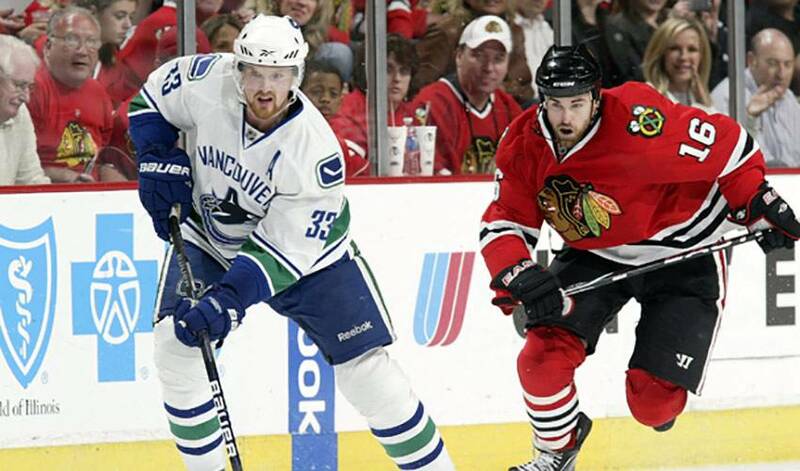 Sedin points to the team's strong offence as a major factor in his individual numbers. “I think a lot of people see that we can score goals,” said Sedin, who has spent his entire NHL career in Vancouver and led the team in scoring in 2007–08. “That hasn't been the case maybe the years past. So I think we still have to focus on cutting down other teams chances because we know we can put up goals. Having your brother on the same line has been a long-time luxury for Sedin, an opportunity he cherishes. It's a situation neither wants to see end any time soon. “We've been ‘The Twins' from when we were 10 years old playing hockey or soccer or whatever,” said Henrik, who, along with his wife Johanna, recently made a joint $1.5 million donation with Daniel and his wife Marinette to the BC Children's Hospital. “We're used to that before we came over. It's nothing new over here, too. Maybe they don't, but the same can't be said of those who are saddled with the burden of trying to shut them down on a nightly basis. And while he's understandably happy with the way things have panned out in the regular season, Sedin knows he'll have to be even better when the puck drops in the playoffs. “I don't know if we raised our level, but if you look back, there's one year where we look back and the full season personally has been disappointing, and that was the Dallas and Anaheim series a couple years back,” said Sedin. “But you only get a few chances with a team like we have this year, maybe just one. You have to take the chance. If Vancouver were to deliver British Columbia their first Cup, it might not be the only trophy Sedin will get his hands on in 2009-10. The votes aren't in yet, but there's no doubt Henrik Sedin's efforts have caught the eye of those who will select who walks away with the year-end NHL hardware.